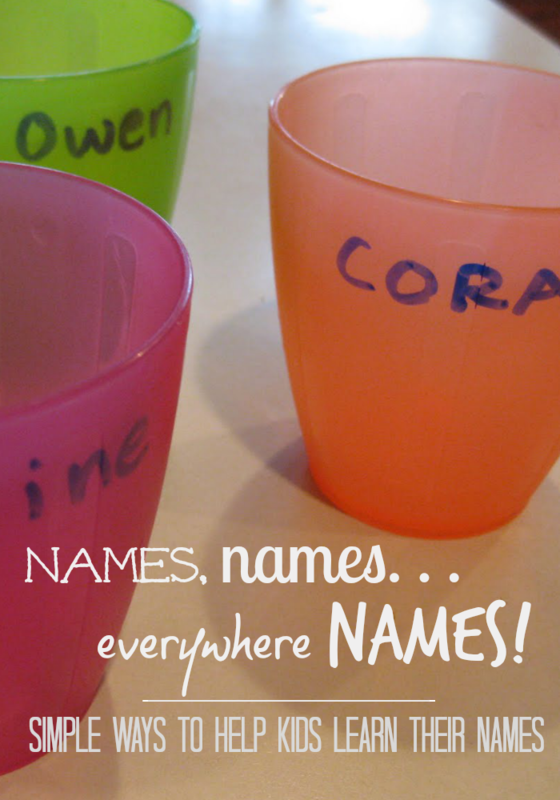 quick trick: names, names, everywhere, names! This Quick Trick is super easy but has big pay-offs. As one of the most important gifts we give to our children, names carry serious weight. Little ones should be proud of their names, they should know their names. And they should be able to recognize their names very early in the game. 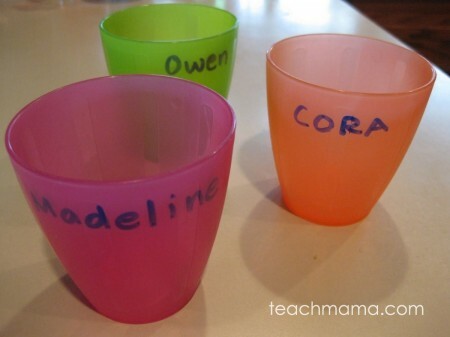 I’m not just talking first names; especially before they reach kindergarten, children should be quite familiar with their first, middle, and last names. So this Quick Trick? Names everywhere. Names, Names, Everywhere Names: I write my kids’ names everywhere. 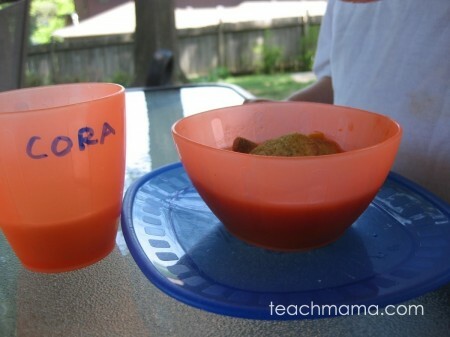 On their cheap-o Ikea plastic cups so they see them at breakfast, lunch, and dinner. On their papers, on their art trays, on their walls in their rooms. 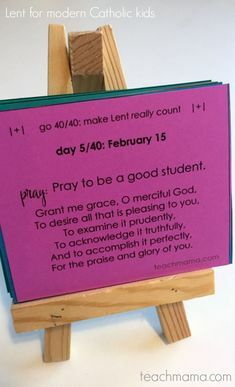 I put their names on their tablets, their backbacks, their tiny Magna-Doodles, their table trays, their vitamin holders, their anything and everything. I buy stickers with their names on them (whenever I find them). If I could, I’d buy a name label for each Maddy, Owen, and Cora from one of my favorite label-makers ever, and then we’d really be name-nutty, and I’d really be a labeling queen. complete with her name on her cup. I try to keep Cora’s name in uppercase letters, and I write Owen and Maddy’s in lowercase letters, but it doesn’t really matter. 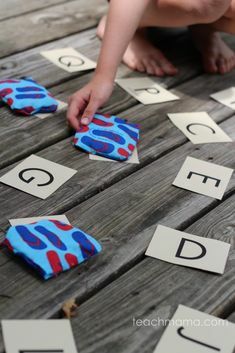 For really little guys who are just learning their letters, sure–it’s easier for them to learn their names with uppercase at first. 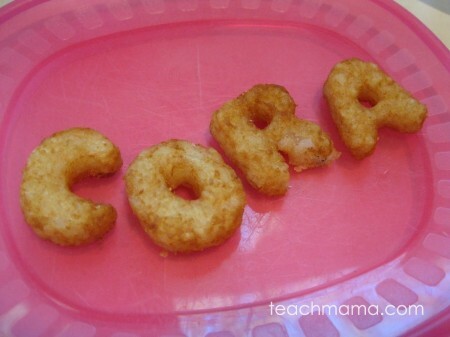 But Cora’s now 3, so I’ll probably start writing her name with lowercase by the end of the summer or early fall. Hard to look at a tater tot name? Maybe. But for little guys, it’s crazy fun. I’m not saying all we need to do is have our kids stare at their names, and it’s a sealed deal. 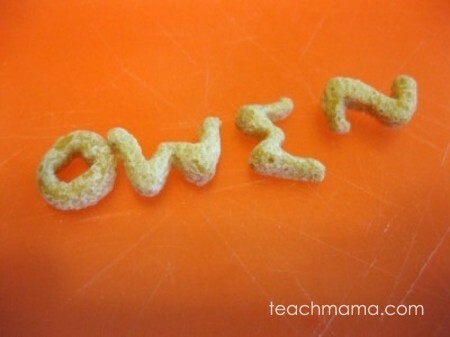 Talking about names, playing with names, eating their names (when the letters come in food form) make the whole process that much more fun. Want a few more name-playing ideas? 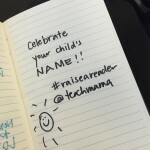 Make Learning a Party: Celebrate Names! Celebrating Names: Play With Letters! 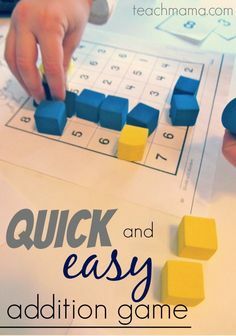 There’s really no reason to wait on teaching children even the spelling of their names because oftentimes, names are the first words emerging readers recognize, read, and eventually spell. In fact, children’s ability to write the letters of her name “in isolation on request or to write one’s name” was identified as one of the precursors to success in literacy development (from the National Institute for Literacy‘s Developing Early Literacy: Report of the National Early Literacy Panel, 2008). Names are that important! 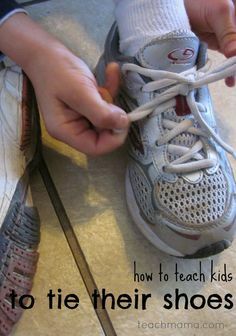 So that’s this Quick Trick–just a little, teeny something to consider trying so that all our little ones are name-savvy and name-happy by the time they make it to school.